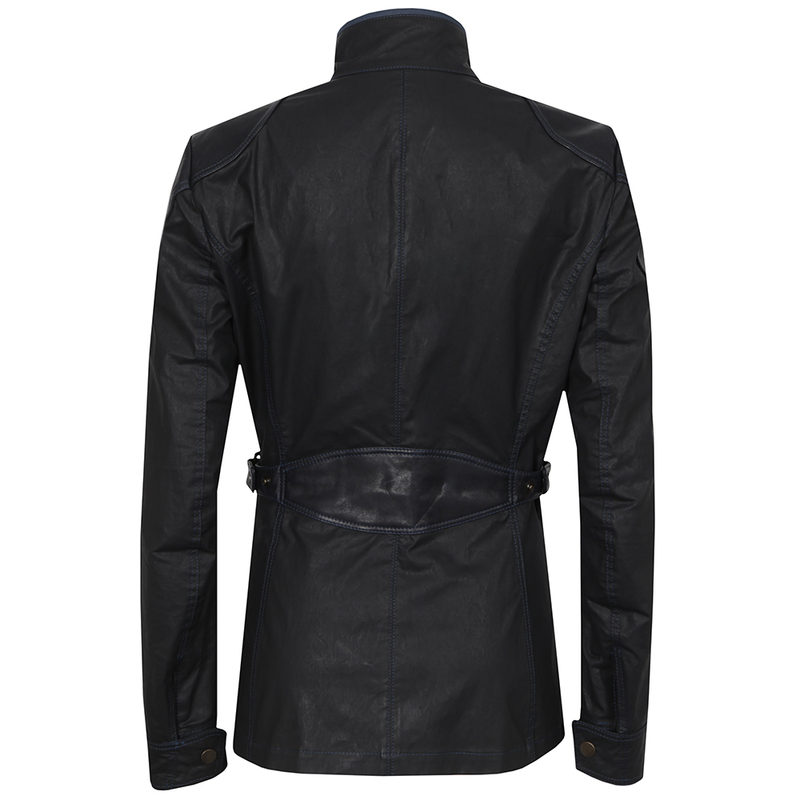 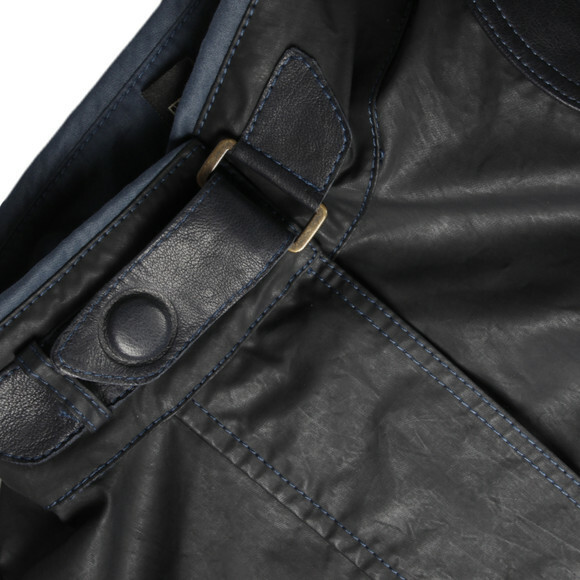 Matchless Sheffield Jacket is a unique, luxury jacket that features leather trimming to the shoulder, collar and pockets. 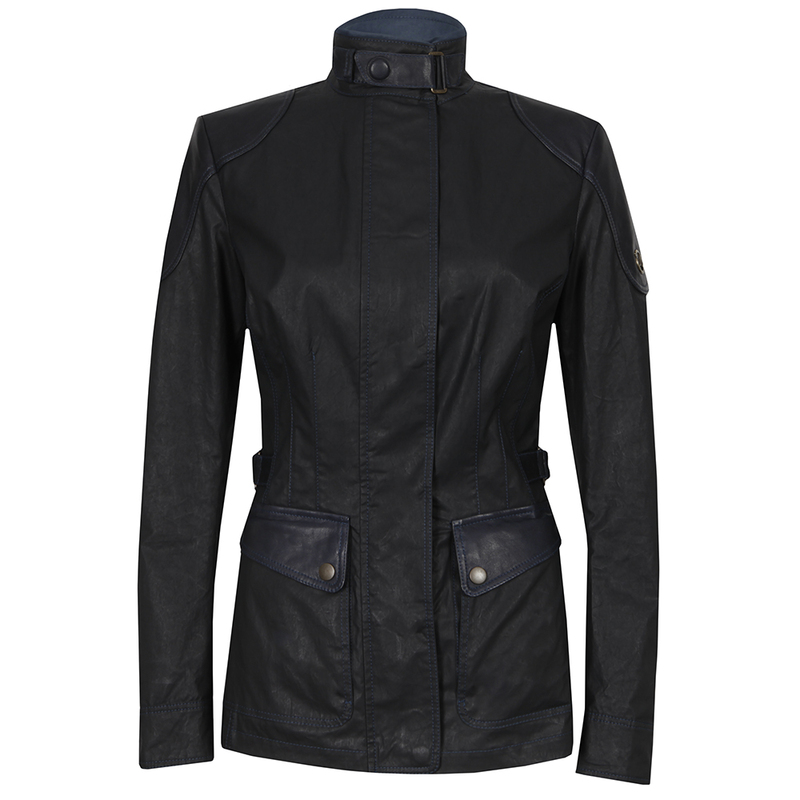 A lightweight and breathable design, the women's navy Matchless jacket can be fastened using the zip and concealed press stud fasteners or tightened at the waist using the adjustable waist tabs to create a more fitted, feminine silhouette. 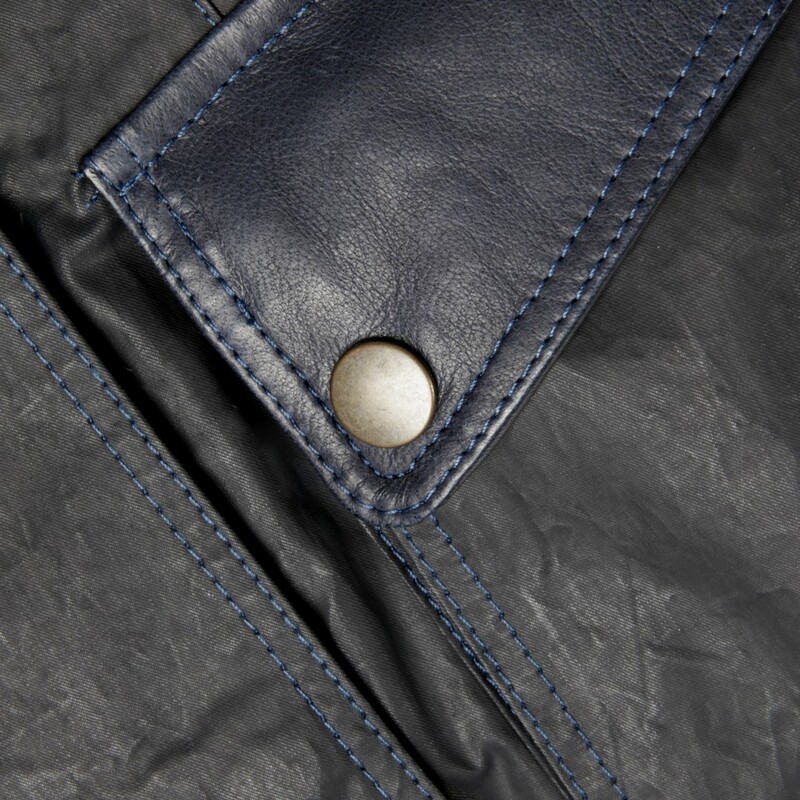 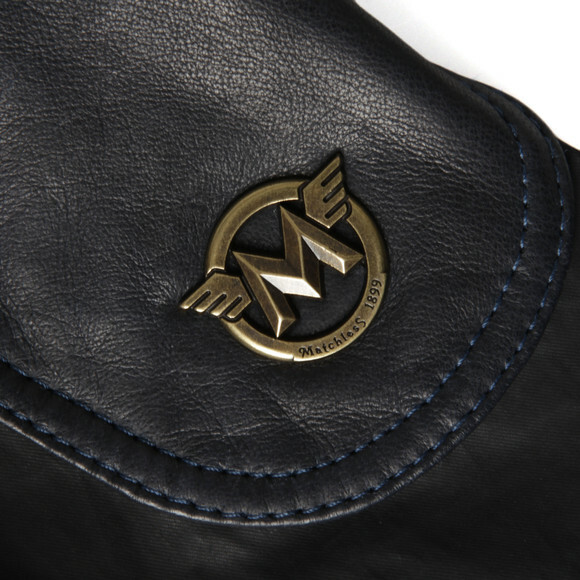 The jacket is finished beautifully with the Matchless logo to one arm using bronze coloured hardware.